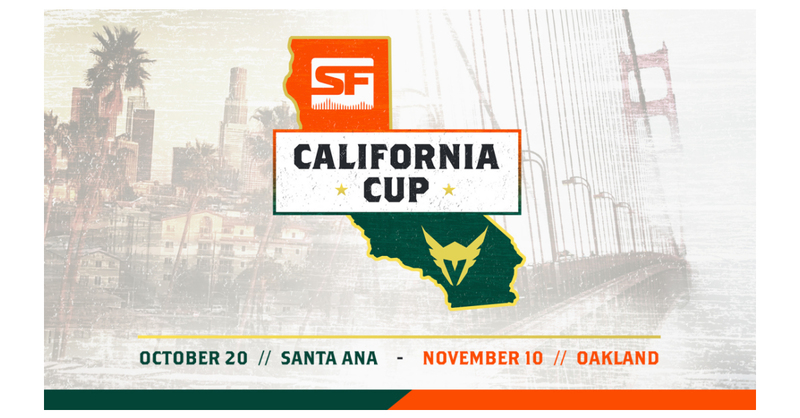 LOS ANGELES & SAN FRANCISCO–(BUSINESS WIRE)–The rivalry between Northern and Southern California reaches new heights as the Los Angeles Valiant and San Francisco Shock, inaugural franchises in Blizzard’s Overwatch League, announce the formation of the California Cup. Unique to esports, the official home-and-home Overwatch League off-season event showcase begins on October 20 at the Esports Arena Santa Ana and finalizes on November 10 at the Esports Arena Oakland. Beginning with the California Cup showcase this off-season and continuing throughout the Overwatch League, in all head-to-head matches between the two teams, the victor will take control of the California Cup until the next meeting. For more information on the Northern California event, visit sfs.gg/calicup18. The San Francisco Shock, one of the 12 esports franchises competing in the Overwatch League's inaugural season, is owned by NRG esports, a San Francisco-based esports organization competing in eight professional video game leagues and known for its deeply engaged fan base. NRG was founded in 2015 by Andy Miller and Mark Mastrov, co-owners of the Sacramento Kings. NRG's investment group brings traditional sports experience to the table from the NBA and MLB, as well as the business experience from industry titans such as Apple, IBM, and NBC. Notable investors include Shaquille O’Neal, Alex Rodriguez, Jennifer Lopez, Jimmy Rollins and Tiesto, alongside Silicon Valley entrepreneurs.